When it comes to new year’s resolutions, every one of us has likely heard the same advice: keep your goals realistic, stay positive, track your progress in a journal, etc. But, if your resolution is to have healthier, brighter and whiter teeth in 2019, you can throw all of these cliches out the window, because the key to success can be summed up in one word – consistency. Add a few extra steps into your daily routine and, without fail, progress will follow. 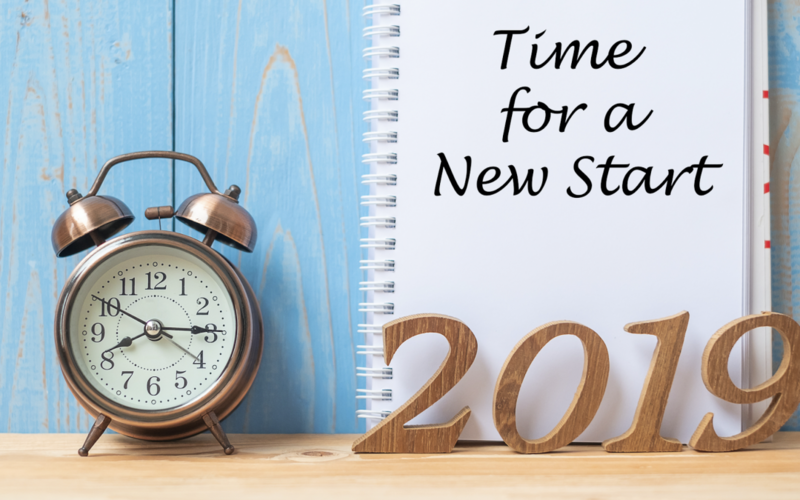 Here’s everything you need to know in order to achieve your new year’s resolution for healthier teeth. A quality toothbrush with firm bristles. Your toothbrush should be replaced every 3 to 4 months, or whenever the bristles start to fray. If you don’t already have one, Dr. Paltsev recommends investing in an electric toothbrush. Electric toothbrushes provide a level of efficiency and performance that can’t always be achieved with a manual. Most models also have a timer and helpful features to ensure that you’re brushing right for exactly 2 minutes at a time. With electric toothbrushes, brush heads should also be replaced every 3 to 4 months. Fluoride toothpaste. Fluoride is a primary agent for fighting decay and cavity-forming acids. Fluoride gets absorbed into the tooth’s enamel and repairs it by replenishing lost minerals. Every adult should be using toothpaste with fluoride unless they have a specific medical condition and have been advised against it by their physician. If you are concerned about the amount of fluoride you already ingest, through water or food, for example, speak to Dr. Paltsev or your family dentist about switching your toothpaste. Waxed dental floss. Dental floss with a wax coating has several benefits – the thicker coating around the thread can protect your gums from injury. It provides a more comfortable grip and is less likely to fray or get caught in the mouth while flossing. Waxed floss often comes flavoured which can provide a nice minty-fresh aftertaste. However, if you prefer the feel of non-waxed floss, there’s no evidence to suggest that it performs more poorly than waxed floss. A tongue scraper. Scraping your tongue may feel silly at first, but you won’t believe its oral health benefits. Recent research suggests that scraping the tongue twice daily for one week significantly reduces the presence of Mutans streptococci and Lactobacilli bacteria, known for causing bad breath and tooth decay. It is proven to kill more odour-causing oral bacteria than brushing your teeth, but is by no means a replacement for brushing. Older research claims that it even heightens your sense of taste. Tongue scrapers are an easy-to-use tool that retails for about $5 at Walmart. 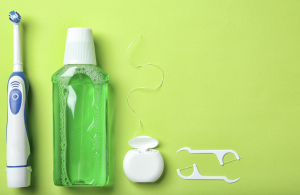 Of course, there are a number of other items you should have in your inventory to ensure optimal oral health, depending on your individual needs. Your smile is like a snowflake – it’s entirely unique and unlike any other in the world. Your inventory might include custom-fitted bruxism appliances or a nightguard. It’s your responsibility to speak to your dentist to ensure sure that you’re well-equipped. Now that your bathroom cabinets are fully stocked, you can begin implementing the magic strategy to success – consistency. Your improved dental hygiene routine may not leave room for cheat days, but it’s the foolproof path to achieving your new year’s resolution. Your smile will be so radiant that even your dentist will be speechless. Brush your teeth twice daily, once in the morning and once at night. Brush for two minutes at a time – no more, no less. Floss once daily, any time of day. You can floss more than once a day of course, but remember that it’s quality over quantity. One thorough flossing is better than three poor ones. Lightly scrape the area of your tongue once daily, ideally after brushing. Wipe your tongue scraper with a washcloth after each use to get rid of bacteria and debris. The entire process should take less than two minutes. You may choose to use mouthwash occasionally as well, to kill bacteria in hard-to-reach places like in between the teeth and beneath the gum line. Mouthwash should be swished for 30 seconds at a time. Keep in mind that children under age 12 should not be using mouthwash due to accidental swallowing.